The Houston Rockets entered Wednesday night’s game against the Los Angeles Lakers riding a 14-game winning streak. They wanted to keep it going, and hoped they could against the lowly Los Angeles Lakers. They had yet to lose with Chris Paul in the lineup and saw no reason why they should against the Lakers. But, like all good streaks, Houston’s 14-game winning streak had to come to an end. Los Angeles got off to a strong start with a 37-point first quarter and led by 15 after the first. At one point in the second quarter, they led by 22-points. But a 12-2 run followed by a 7-2 run cut the deficit down to four by halftime, 63-59. Houston started the half with a short 6-1 run to take their first lead of the night, 65-64. The teams would trade the lead back and forth for the remainder of the quarter. But after Chris Paul hit a three-pointer to tie the score at 89-89, Corey Brewer went on a 5-0 run to end the quarter and put the Lakers on top, 94-89. Then it happened. The Rockets did the one thing no team can do and still expect to win—they went cold. Not just cold, but ice cold. After Trevor Ariza hit a pair of free throws to tie the game up at 100-100 with 7:50 to play the Rockets missed their next seven shots while the Lakers got out to a 110-100 lead. The Rockets would get within six but struggled to make shots down the stretch making just four in the last eight minutes of the game—all of which came in the final minute. Houston ultimately lost, 122-116. “The fact that we were able to kind of punch them early and you knew that run was coming and then find our composure again and hit some big plays and get some big stops, it was really good to see from our group,” Lakers coach Luke Walton said (ESPN). 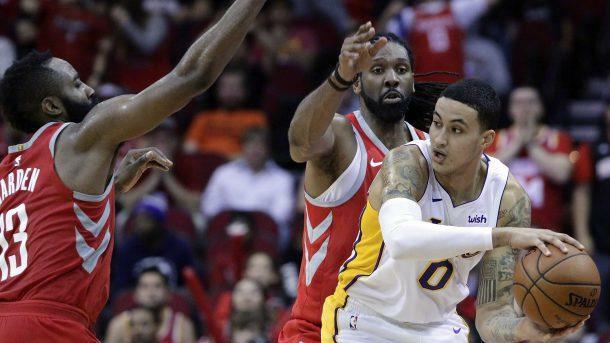 James Harden led all scorers with 51 points, but the night belonged to Lakers rookie Kyle Kuzma. He was on fire during the first half (9-9; 6-6 from three-point range). He cooled off a little in the second (12-17; 7-10 from behind the arc) and finished the night with 38 points. At this point in the season, one loss does not mean much. 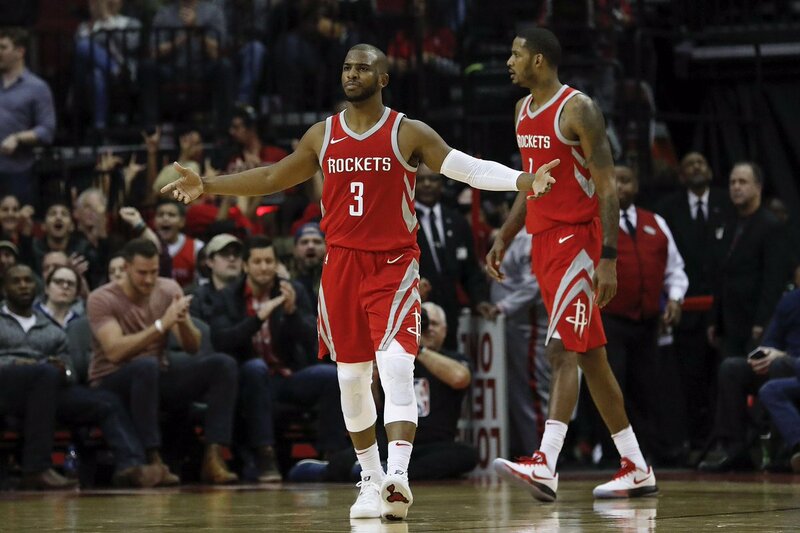 What Houston will be more concerned with going forward is the health of Chris Paul. He had to leave the game early in the fourth quarter with what was later called an abductor strain. He has not been ruled out of Houston’s next game on Friday (at home against the Clippers). But it would be surprising if he played. The Lakers will not be able to enjoy the win for long. They face the Golden State Warriors for the second time in three games on Friday at the Oracle Arena.